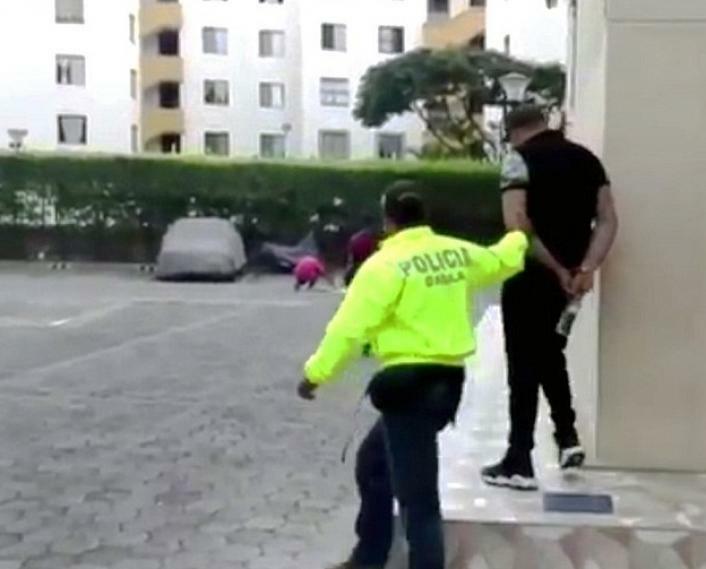 The leader of a Colombian gang, who had built a violent reputation along the way towards murdering what authorities believe to be 117 people, was captured in a high-profile arrest this week. John Alexander Calderon Vidal, otherwise known as "Largo", was snagged in the Western city of Cali, Valle del Cauca, after a year-long surveillance operation. Grainy photos have leaked to show Calderon Vidal detained, before being led by officers on a perp walk for the press. The public in the region of Valle del Cauca is very familiar with Largo for personally carrying out hits on rivals, but one of his more controversial killings involved his dismembering of army officer Nicolas Alberto Brito in 2011. Largo is one of the most reputed gangsters in the country, having been a part of numerous gangs over the past several years, including the cartel leader Wilber "Jabon" Varela's Los Rastrojos gang. Prior to venturing to build up his own organization, he worked under another well-known gang leader who locals recognize as "Seco." Their falling out had to do with a power struggle that lead Largo to initiate his own drug trafficking ring. Largo Calderon Vidal is reported to have been transported to a maximum security prison and been identified as a threat to escape. He will be tried on homicide, blackmail and weapons trafficking charges.